Yes — along with the standard pool lengths of SCY (25 yards), SCM (25 meters), and LCM (50 meters), there is a custom option in the TritonWear Mobile App where you can enter a non-standard pool length. You can enter any value from 15 – 100 meters/yards. 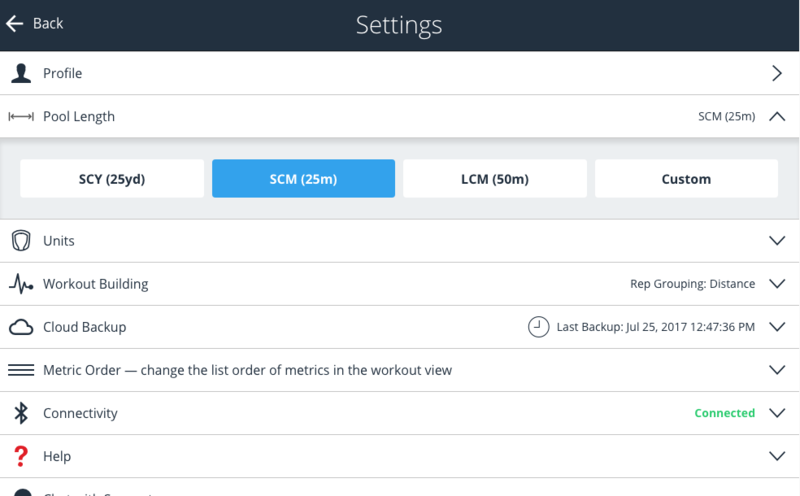 This option can be modified in the Settings menu of the TritonWear Live (mobile app). Note: To use Non-Standard Pool Lengths, your must upgrade your Triton units to version 1.1.11 or greater, and your Triton Connect(s) to version 1.1.1 or greater.